I started with the simple practice of reaching for my journal when I woke up every morning instead of grabbing my cell phone. I have never been one to keep a journal, I’m a writer, but the thought of keeping a personal diary has always scared me. I recently left for a long vacation, and felt that I should write while on my trip and jot down my random thoughts along the way, so I slipped a journal into my carry-on when I left. 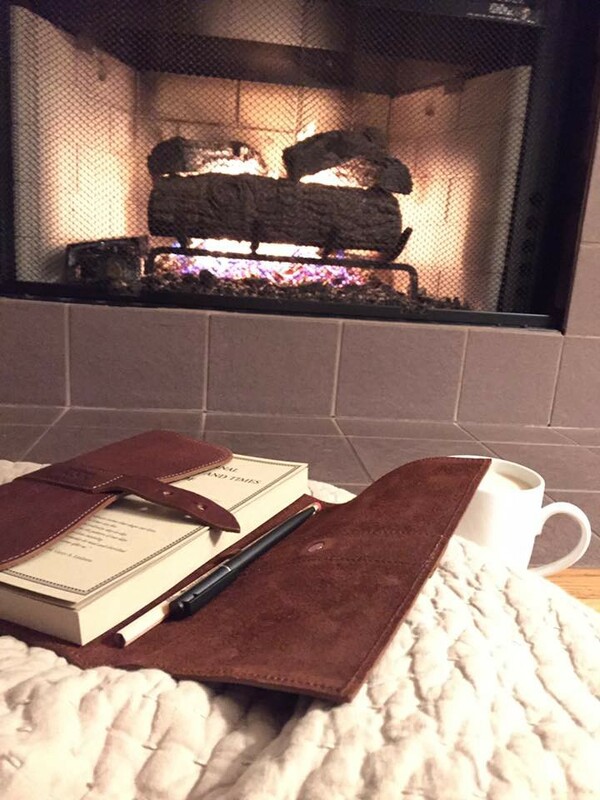 I started with the simple practice of reaching for my journal when I woke up every morning instead of grabbing my cell phone and checking email. Taking a few moments to remind myself what I was thankful for from the previous day and what I was hopeful the present day would bring me. After a few days of this simple practice, I started to feel a release of any anxieties that are normally present each morning, and as the trip continued on, I found myself reaching for the journal at random times; during solo dinners or during a long drive pulling over at a scenic location to jot notes down. I found that my journal became my travel itinerary in a sense, as I started noting the things that I wanted to experience each day, in an effort to keep myself on track. I had a goal of ending the trip feeling that I had accomplished everything that I had set out to do, and my journal became the perfect place to keep track of it. Writing about my thoughts and experiences helped me to clarify my thinking, be intentional, and really reflect on my experiences. Most of all it helped to keep my head clear, and ready to take in my new surroundings. Many medical and wellness guru’s have long boasted the healing and inspirational powers of writing and reflecting. James Pennebaker, a psychologist at the University of Texas — Austin, has done comprehensive research and stands with his claim that regular journaling strengthens our immune cells, decreases Asthma and Arthritis symptoms, and releases stressors on physical health. Dr. Gail Gross has been quick to point out that “the very act of writing has been scientifically shown to be a beneficial creative process. By putting pen to paper, you are using the left side of your brain, which is critical and rational. This gives the right side of your brain a chance to access your feelings and intuition without any mental blocks.” In a recent article, she notes that other health benefits of journaling can include: improved immune system, reduced blood pressure, and improved lung and liver function. I spent about 20–25 minutes a day writing, sometimes it was less, sometimes more. I didn’t worry about spelling, punctuation, and I just started to write. If you aren’t used to journaling, it can be a daunting task. It definitely helps if you start with a theme, or as I did, with my goals for the next day until you are comfortable just picking up a pen and writing. You can also purchase journals that have prompts or a question/topic for you to write about if you need that to help you get started. I found that penciling things out, helped me to answer questions and problem solve. It gave me an analytical look at things during my trip. Allowed me to realize what exactly I was worried about, excited about, and things that I wanted to explore. It enabled my mind to wander, became my non-judgmental friend, and provided me with the cheapest therapy a girl can get.